So you think that what you eat only impacts your body weight? You are right, but not completely. Normally, when we hear about broccoli, we quickly think of salad or stir fried broccoli. What if there were other equally mouthwatering recipes of broccoli? What if you could make soup with broccoli? It’s pretty easy. Plus, it's full of vitamins A, B, and C--which give you hair and skin luster and keep them looking young. Heat the olive oil in a pot and sauté the onions, garlic, capsicum, potatoes, cilantro, and broccoli. Next, add the flour and continue frying for another few minutes. Pour one cup of water or vegetable stock into the pot and let it cook for around 10 minutes. Then, turn off the heat and allow the broth to cool. Next, blend it using a food processor. Return the puree to the soup pot and add the remaining vegetable stock to it. Let it heat up while you add the spices and continue stirring. Once the soup achieves a consistency of your liking, add the fresh cream and turn off the heat. 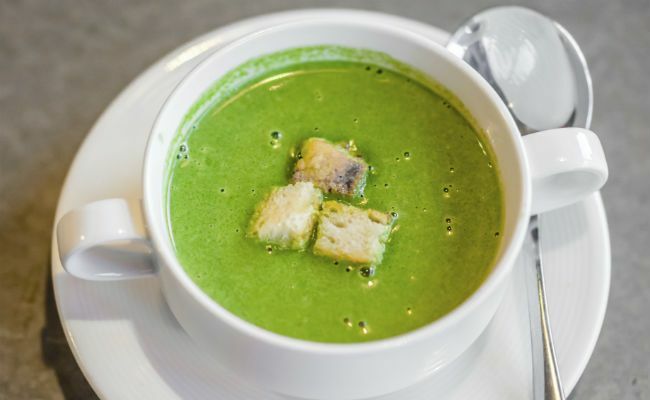 Your broccoli soup is ready. Broccoli is a rich source of an enzyme called indole. This enzyme converts into diindolylmethane or DIM during digestion that is connected to reversing male pattern baldness. It also contains vitamin C that is known to promote collagen secretion that strengthens blood capillaries and maintains blood circulation to hair shafts. Most people get confused between yams and sweet potatoes. The most common variant is the red skinned sweet potato that is orange-red on the inside. Yams are a different variant of sweet potatoes. They are white on the inside and have a brownish peel. It contains a high content of potassium, beta carotene, iron, and magnesium for stronger strands and lesser chances of thinning. Boil the yam in a pot of salted water for about 20 minutes, or until they are tender. Next, add the apples and continue boiling for another 5 minutes. Then, take it off the heat and set it aside to cool. Drain the water, and place the yam and apples on a baking sheet. Preheat the oven to 350˚F. Then, bake for around 10 minutes or until they are slightly dry. Allow the yam and apples to cool down. Then, blend them in a food processor until smooth. Add the butter and the spice and keep blending until the butter dissolves. Lastly, season it with salt and pepper. You can put it in an airtight container and refrigerate it. Whenever you want some comfort food, transfer the mix to a medium sized saucepan and put it on medium heat. Keep stirring until warm, and serve it with an extra sprinkle of pepper. 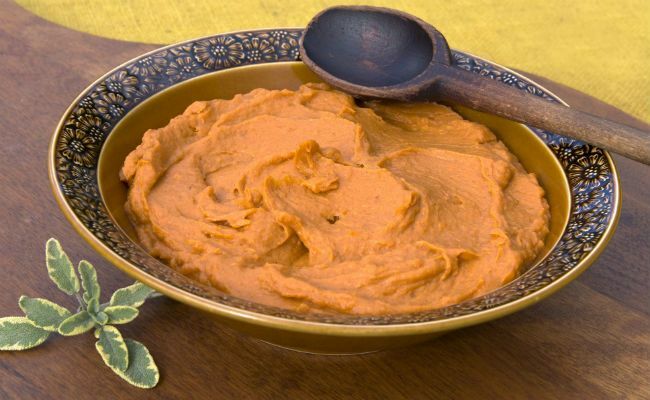 Yams are replete with iron that is essential for hair growth. They are also rich sources of vitamin B6 that prevent premature graying of hair. It is important to maintain a balanced diet of adequate carbohydrates, proteins, vitamins, minerals, and dietary fiber to maintain all your bodily functions and contribute to holistic health. However, diet alone isn’t sufficient. You have to exercise to achieve the best results.